Network Rail has been accused of pushing through a ‘crass and timid’ replacement for the showpiece station interior following the resignation. London and New York-based AZPML, which grew out of the station’s original designers Foreign Office Architects, has now been replaced by London-based Haskoll on plans for the landmark’s central atrium. The circumstances behind the resignation have not been made public, but leading architectural experts familiar with the project have warned of a 30-year legacy which will affect more than 30 million passengers a year. Architect Philip Singleton, who is chief executive at Millenium Point, said: “If you adopt a pathway, you need to keep that vision held together holistically through the building. “It is a bit like having a Paul Smith suit with a Primark lining. You would not pay for a Paul Smith suit with the wrong lining. A scheme like this needs to be holistic. “There are various stakeholders here, not least the city council, Network Rail and others, and in excess of 30 million people a year will use that over 20 to 30 years, and there is a danger that we will be disappointed by New Street Station again. “It is true that project managers sometimes have to get on and take decisions and architects can be difficult to work with and egotistical, but egotistical architects can make great buildings. It is understood that the project’s delivery team, led by contractor MACE in conjunction with Network Rail, has forced through a new design featuring tensioned fabric instead of the original plans for continuous white plaster curves. Mr Singleton, who is former assistant director for city centre development at Birmingham City Council, added: “Too often clients and project managers lose their nerve and replace an architect which has been dynamic, consistent and thorough with a detached solution. “The legacy of their decision in this case will impact on more than 30 million passengers a year for decades to come. Network Rail said in a statement: “AZPML was involved in early concept design stages for the interior of the atrium. 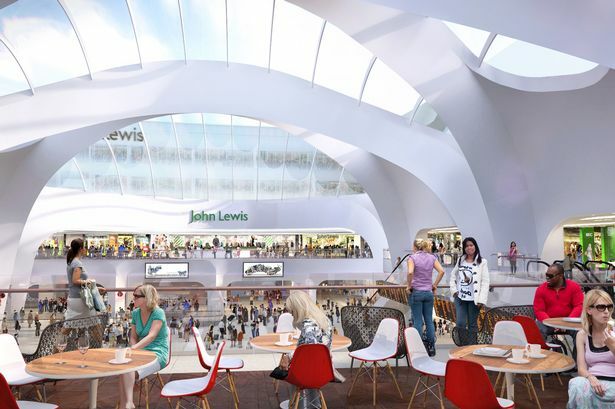 However we have now chosen to work with Haskoll as interior design architect for the atrium and the Grand Central shopping centre. There are no plans to change the concept design of the atrium, which will flood Birmingham New Street station with natural light for the first time when completed. AZPML has declined to comment.